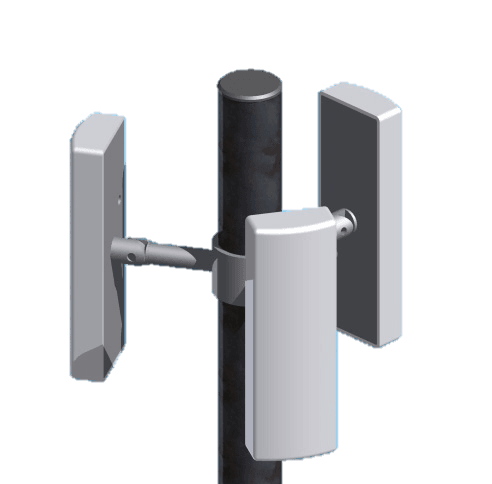 The FXSP antenna series are designed to be a solution for high density urban location where sources of interference are more prevalent and RF frequencies are more congested. These sector panels can be used in multiple applications ranging from MIMO to Mesh networks, Point-to-Point/Multipoint. Available in 60°, 90° or 120° with gains of 16 dBi, 14 dBi, and 13 dBi respectively. If co-location is desired with this design, the interference with the adjacent sector is minimized which preserves gain, improves thru-put and overall system performance. Additionally having the ability to tilt up 10° or tilt down 15° provides the user to contour the antenna pattern to the desired geographic terrain. These antennas are designed to provide maximum Data, Video & Voice performance in a wide range of applications. These antennas are provided with state-of-the-art radiating elements essential for maximum reliability and superior performance.